Welcome back everyone! I just received this set today and couldn’t wait to play with it! This is the Japanese Mum from Altenew. I love the layering guides that come in the packages. It helps so much when lining up these stamps. I stamped my mums onto Neenah Solar White 110 lb card stock using Black Amalgam Ink, Soft Stone and Slate from Gina K Designs. The leaves are stamped in Black Amalgam ink for the outline and then Key Lime, Lucky Clover and Grass Green. I used the coordinating die to cut out my images with my Gemini Jr.
For my front panel, I’m using a piece of Black Onyx card stock. 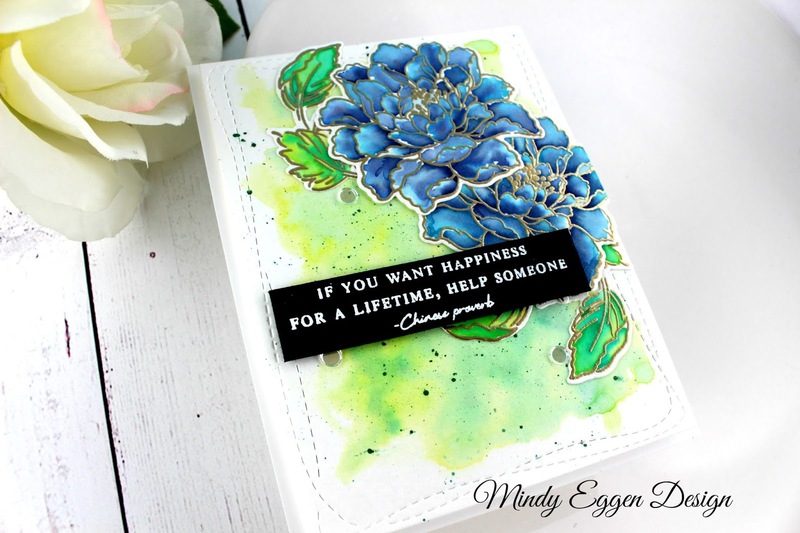 First, I heat embossed my sentiment, which is also from the Japanese Mum set, using Gina K Designs Embossing Ink. I sprinkled with Brutus Monroe Gilded Embossing powder and heat set. Next, I flicked on speck of gold paint from my Gansai Tambi set. Once the specks were dry, I added my images with Gina K Connect Glue. The top flower is popped up with foam for dimension. It’s rainy and dreary here today which is probably why I went with the gray/black combo but I absolutely love how it came out. Welcome back everyone. Thank you for stopping by my website and blog. I enjoyed this image from the Coral Charm stamp set so much that I wanted to take another pass it. This time I’m copic coloring the image. 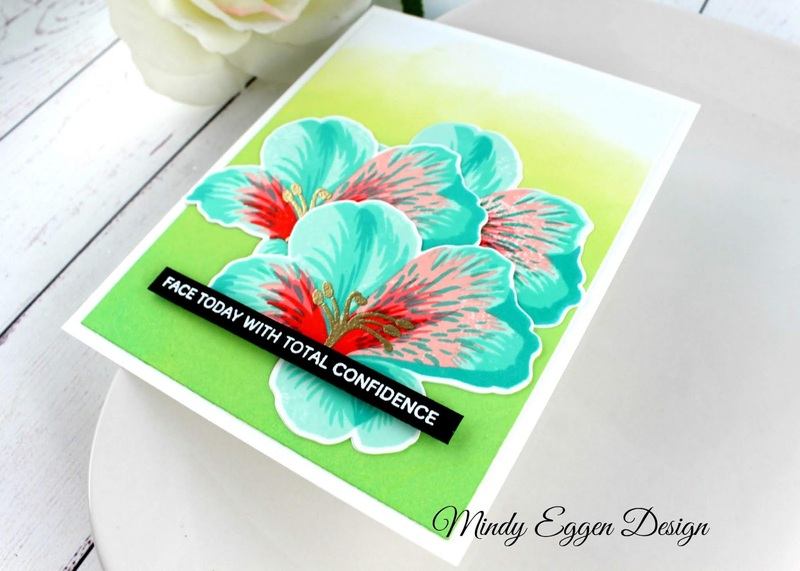 I stamped the floral image twice onto Neenah White card stock with Gina K Designs Amalgam Ink. Then colored them each with the same colors which was V01, V05, V06, and V09. The leaves are colored with YG21, YG23, YG25, YG17. 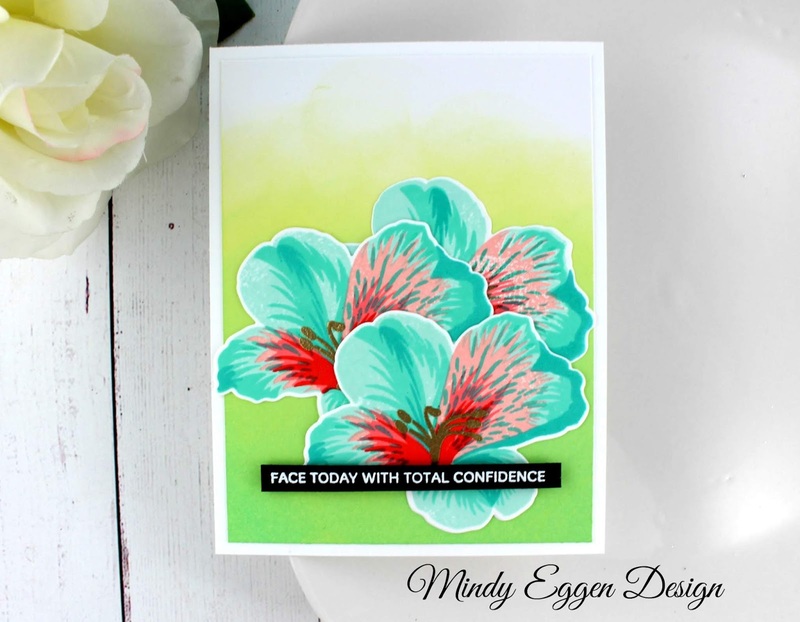 My one flower is actually an extra from my previous card where I used the layering portions of the stamp set. https://ldli.co/e/epo205Those were stamped in the Tea Party Collection from Altenew. I used the coordinating die to cut them out which leaves a beautiful white edge to the images. For my background, I ink blended Peacock Feathers Distress Oxide ink onto White Layering card stock from Gina K Designs with a Life Changing Blender Brush from Picket Fence Studios. I then squished down some Black Distress Oxide ink onto a craft mat, spritzed with water and flicked onto my ink blended panel with a paint brush. I trimmed down the ink blended panel to 4″ x 5 1/4″ and attached to an A2 size card base I created from Stormy Sky card stock from Gina K Designs. I added my images onto my card stock with a tape runner layering the leaves behind the flowers. The sentiment is from the Sentiments Strips from Simon Says Stamp. 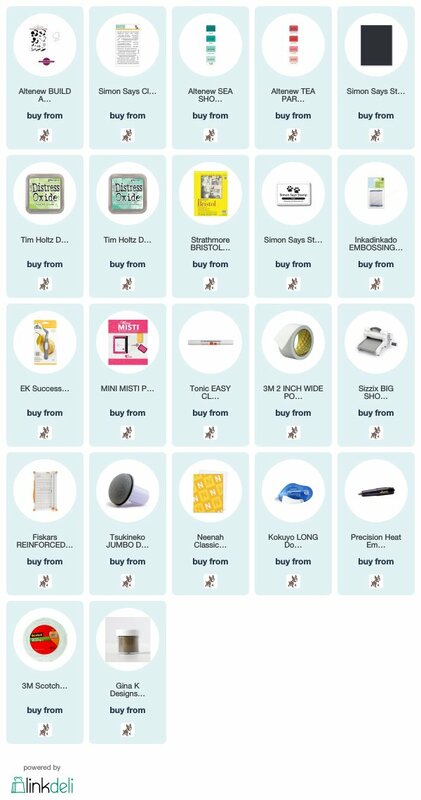 There are so many to choose from! To finish off my card, I added some Sugar Plum Jewels with Lawn Fawn glue and a jewel picker. 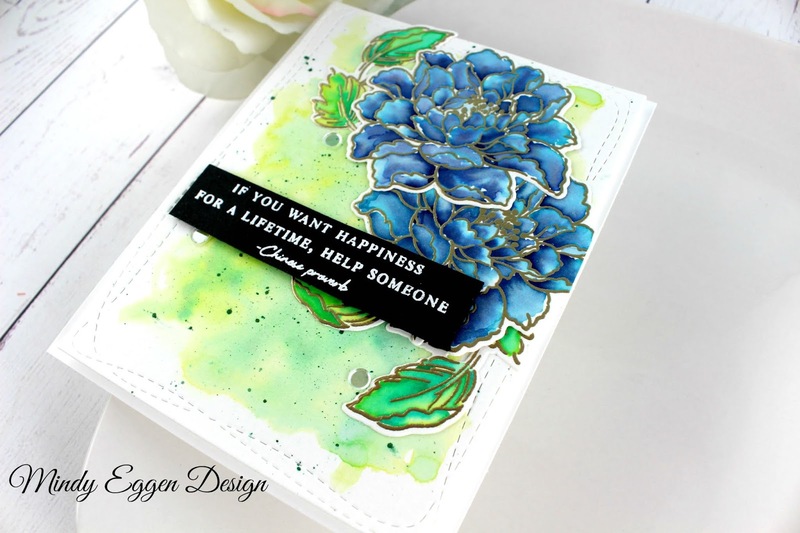 I love the mix of the copic colored flowers and the layered image. Welcome back everyone! Today I’m sharing a card using the beautiful Coral Charm stamp set from Altenew. I enjoyed adding the layers of stamping to my image. Kind of relaxing when all you have to think about is what colors to use. Even that was really easy because I have some of the Altenew mini inks that I bought in sets so they are sure to go together well. My images are stamped in Pink Pearl, Coral Bliss, Heart Beat and Vineyard Berry all of which are in the Tea Party collection. My leaves are stamped in Bamboo and Olive which is from the Tropical Forest Collection. I used the coordinating dies to cut out my images with my Gemini Jr.
My A2 size card base is made from Neenah Solar White 100 lb. card stock. I added another piece of card stock measuring 4″ x 5 1/4″ that I cut from Peach Bellini card stock from Gina K Designs. Most of my images are added to my front panel with a tape runner except for the flower in the middle in which I popped up with foam squares. I didn’t want to take away from my beautiful florals so I used a sentiment from the Sentiment Strips from Simon Says Stamp. I just picked one I thought was fitting for the card and trimmed it out with my Tim Holtz paper trimmer. I added it to the front with a few pieces of foam tape. To finish off the card, I added a few Ivory Pearls from Pretty Pink Posh using Lawn Fawn liquid glue and a jewel picker. The layering sets are such a great addition to your stash because when you just feel like making something but don’t want to make a mess, you can just pull out a this set and a few ink pads. Thank you for joining me today! 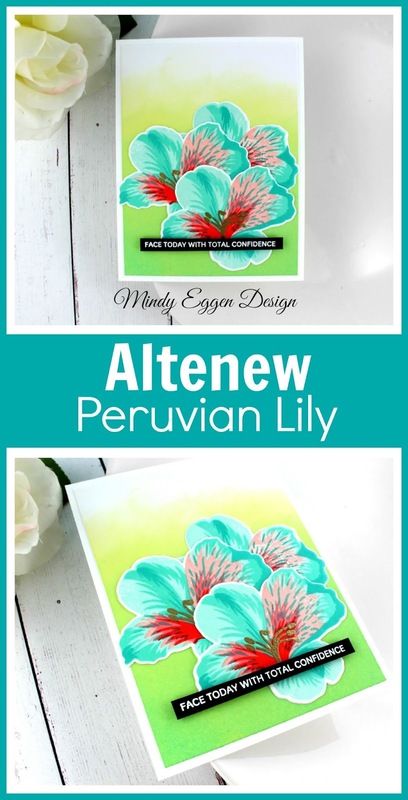 Today’s card is featuring the Peruvian Lily from Altenew! I have been admiring this stamp set for a while. There are so many gorgeous color combinations that can be made with it. There are lots of layers but such an amazing result in the end! For the first layer of colors, I use the Sea Shore Altenew mini ink cube collection. My second layer of colors is using the Tea Party Collection. I’m actually quite limited on the Altenew mini ink cubes but I thought this combo was gorgeous! For the middle of the flower, I heat embossed with gold embossing powder. I die cut my flowers using the coordinating die. For my front panel, I ink blend Twisted Citron and Cracked Pistachio onto Bristol Smooth cardstock. 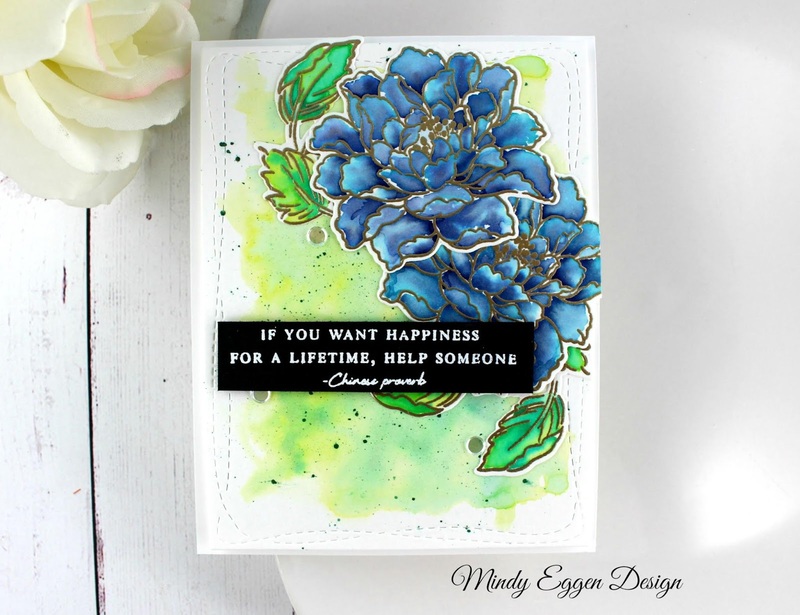 My sentiment comes from the You Got This stamp set from Simon Says Stamp. I love encouragement cards and plan on giving this to my daughter. She is going to have a busy next couple of months with school, volleyball practice in the wee hours of the morning and also Choir. I want her to know she’s totally got this! 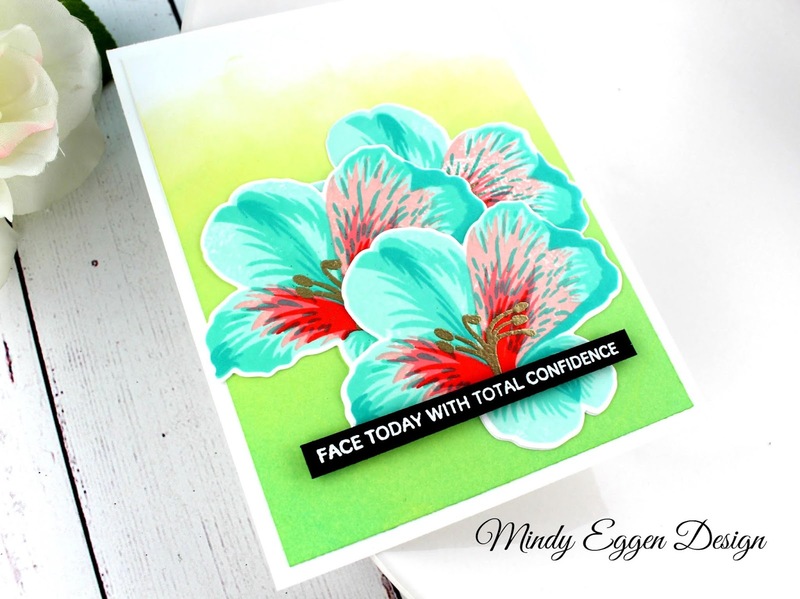 I hope you enjoyed my card and try out some new color combinations of your own! 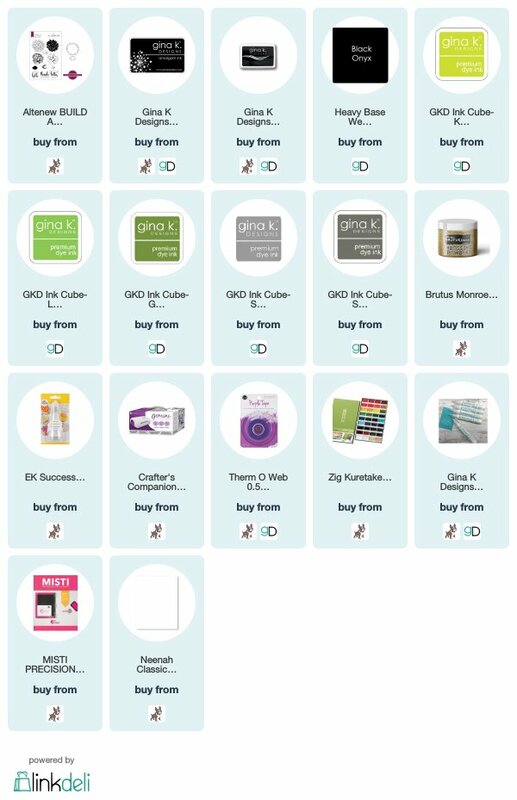 Here is a board you can save to Pinterest if you like. 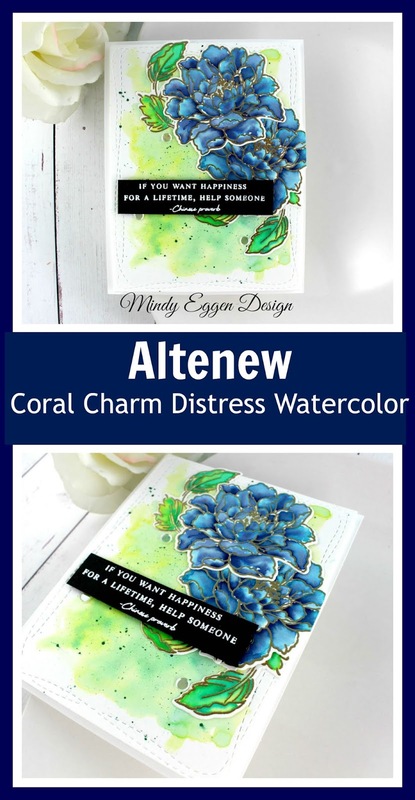 Today’s post is watercoloring with Distress Inks using the Coral Charm from Altenew. 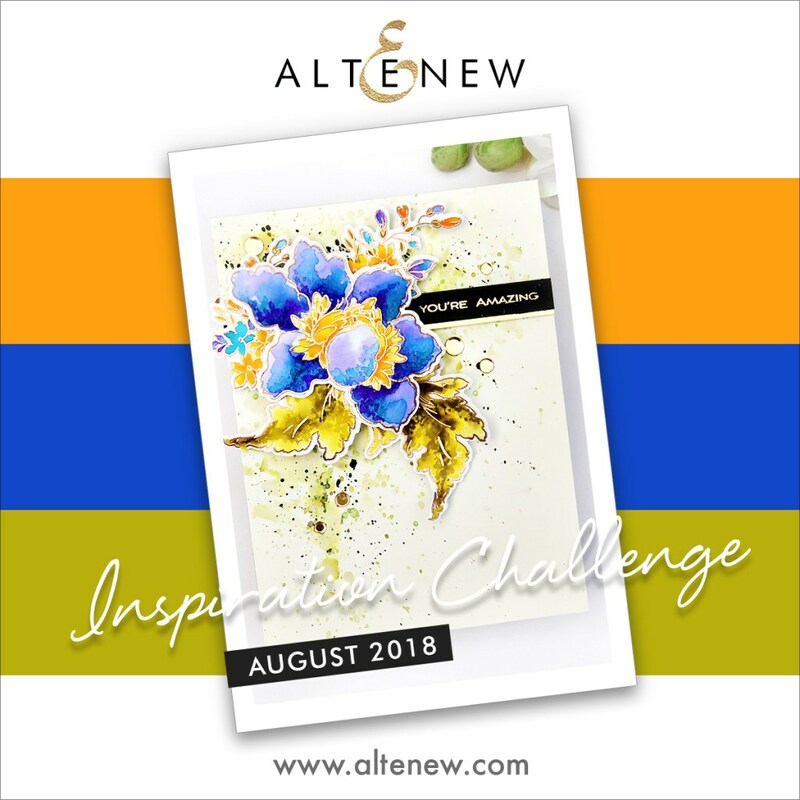 I’m jumping into the Altenew Inspiration Challenge and decided to use (most of) the colors and style for my inspiration. I don’t do a lot of watercoloring but I have to admit I really enjoyed this. I don’t do anything fancy but let the colors and water do the work. I love watching the color spread throughout the water. I stamped the images onto Canson Watercolor cardstock with clear ink and heat embossed with gold embossing powder. This helps contain the water into the certain areas of the flowers and leaves. Next, I wet a few petals and added some Broken China Distress ink with my paint brush. Then I dabbed my brush into Chipped Sapphire Distress Ink (smooshed on my desk) and just lightly touched the area again. Then, I watch the ink spread. It’s beautiful! I play with it a little, spreading out the ink here and there until I’m happy with it and then let it dry. I’ll have a video on this technique in the near future on another card. My background is also on Canson Watercolor cardstock where I used the wet on wet technique with Twisted Citron and Evergreen Bough Distress Ink. Once dried, I splattered with Evergreen Bough and die cut with the Wonky Rectangle die. I added my panel to an A2 size cardbase with craft foam. The sentiment is also from the Coral Charm stamp set in which I heat embossed with white embossing powder. After adhering all my items, I added a few Sparkling Confetti for a little more interest. I really enjoyed creating this card in case I hadn’t mentioned that already haha! It’s an easy watercoloring technique that makes you feel artsy without being artsy. 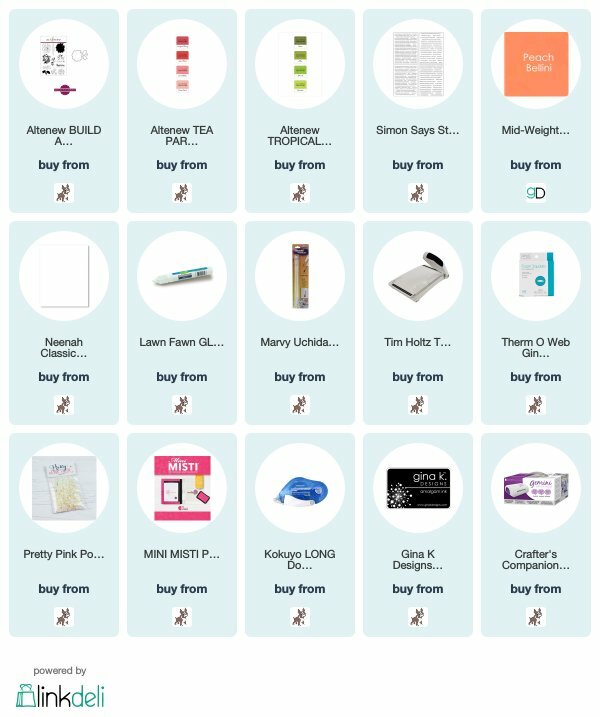 Here is a board you can save to Pinterest if you want come back again. 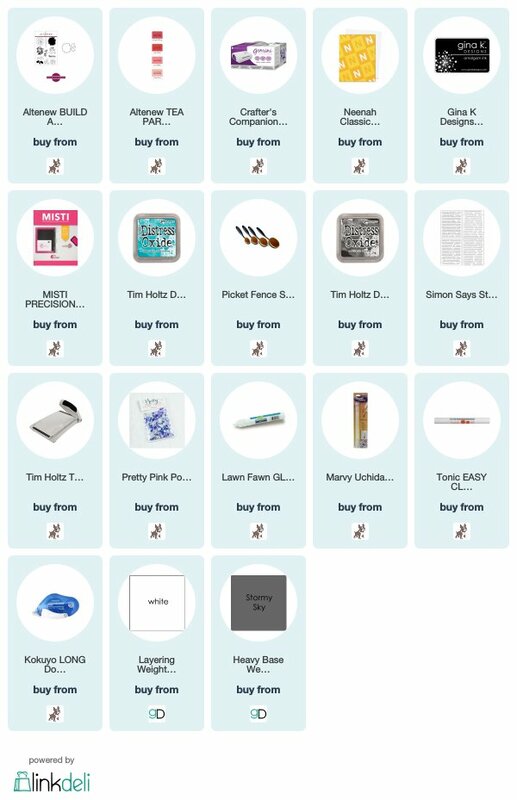 Some affiliate links may be used at no cost to you. Thank you!